Author: Based on characters (Miss Hildegarde Withers, Inspector Oscar Piper) created by Stuart Palmer in his novel of the same year, who also has story credit here. Story by Lowell Brentano and screenplay by Willis Goldbeck. Brentano also collaborated with Frederic Dannay and Manfred Lee the next year on the story for “The Crime Nobody Saw”, based on a play by the three called “Danger, Men Working”. Dannay and Lee are better known as Ellery Queen, of course, and this screenplay sheds a little bit of light on their Hollywood period — but that’s another story. Just interesting to note that Brentano got to work on two different detective brands of the 1930s. In a similar interrelationship, Goldbeck went on to write perhaps a dozen Dr. Kildare films and directed a couple of them. Stuart Palmer became a well-known writer of perhaps the second rank with his Withers novels. 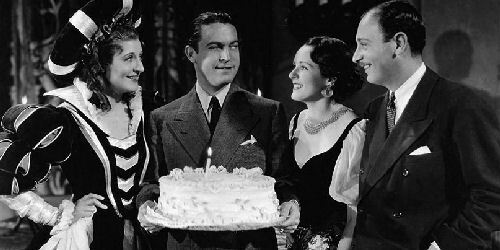 Six of his stories were filmed between 1932 and 1936 but he would not sell a screenplay until 1936, at which point he became very productive and popular in both fields. Penguins became his personal trademark, a kind of icon or signature block. Other Data: December 9, 1932, according to IMDB. 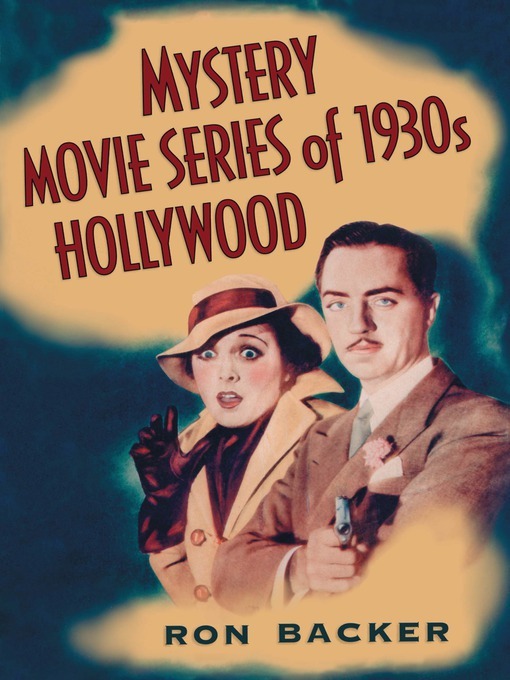 Directed by George Archainbaud, a long-lived workhorse who directed silents from 1917, B-movies for decades and then made the move to TV episodes until 1959. 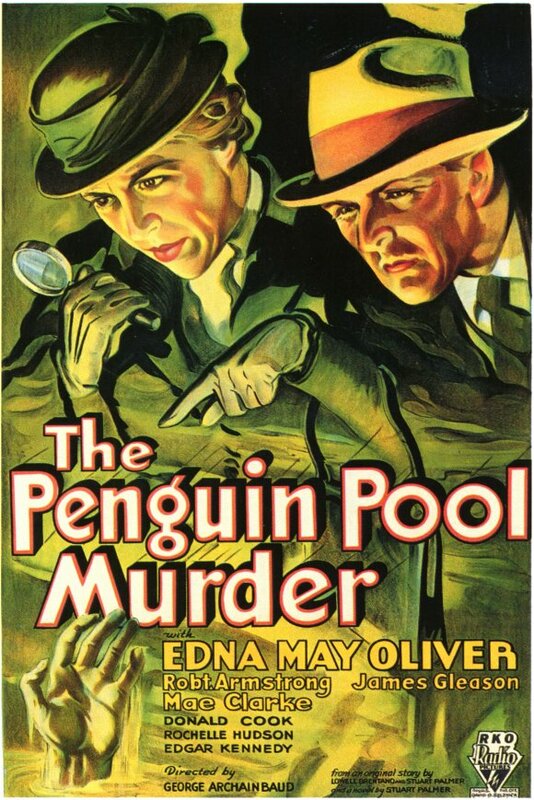 Note that while the film’s poster calls it The Penguin Pool Murder, and that is the title of the book as well, the title card leaves out the “The“. Cast: Edna May Oliver as Miss Hildegarde Martha Withers, the quintessential maiden schoolmarm. James Gleason as Police Inspector Oscar Piper. 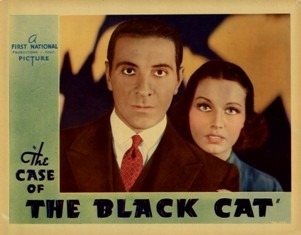 Supporting cast includes Robert Armstrong, Mae Clark, Donald Cook, Edgar Kennedy, and the familiar face of Gustav von Seyffertitz. 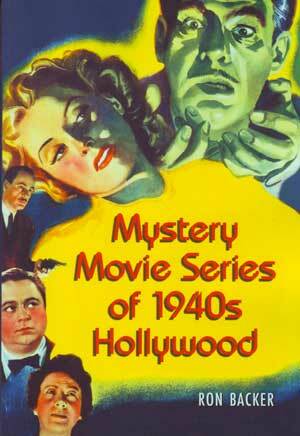 This is the first in a series of Hildegarde Withers mysteries; both the first novel and the first film are from 1932. Edna May Oliver took the role and made it her own, although she only appeared in the first three films in the series. She was followed by Helen Broderick, Zasu Pitts, and Eve Arden. The secondary character is long-suffering Inspector Oscar Piper of the Homicide Squad who must become accustomed to Miss Withers attempting to do his job. The character concept underlying the films is that Miss Withers and Inspector Piper have a love/hate relationship. Miss Withers really solves all the murders but Oscar takes the credit, begrudgingly permitting her to run things as she wishes. Hildegarde is censorious, old-fashioned, prim, proper and really very bitchy, when it comes right down to it. If you pay attention, you’ll note that she tells nearly every single person with whom she comes in contact how they should be living their life/behaving/dressed. Since it is 1932, she is crabby with blacks and Jews (when they are her students), girls who wear too much makeup, people in uniforms who aren’t doing what she wants them to, slutty-looking women in spangled evening gowns, men in business suits, waitresses, and — well, just about everyone. Amazingly enough, this is actually funny, partly because it is constant and partly because it is gentle. 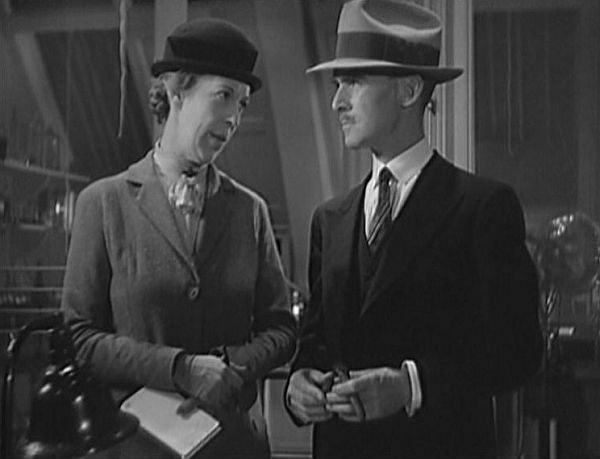 Oscar Piper is gruff and aggressive with everyone, as befits a hardboiled cop, but there is considerable subtext indicating that he and Hildegarde are an item. Actually at the end of this particular film they head off to be married, but this is conveniently forgotten by the beginning of the second film. The story here is — well, at this point I have to say that although this is a clever and funny movie, the mystery itself is not especially interesting. Indeed, I’ve had a peculiar thing happen with this film, in that the plot seems to just melt in my mind before I can make sense of it. To me, this indicates the kind of production where the mystery is not as important as other aspects, like characterization and background. When it comes right down to it, there is not much to this mystery that you are going to care about or remember in any detail. A beautiful and extraordinarily well dressed young woman has a mysterious lover who needs money. All she has is her stockbroker husband, and all he really has is his life insurance policy, which only pays off if he dies. The stockbroker promptly quarrels with everyone in his life, in the way of such things, and is found face down in the penguin pool at the aquarium, which coincidentally contains a mob of people and Miss Withers and her young charges. One of the mob is a pickpocket; another is the aquarium’s director, with whom the stockbroker has history. Miss Withers remains involved partly because her thin nose cannot be kept out of a mystery, partly because of her burgeoning relationship with Inspector Piper, and partly because it is soon discovered that her lost hatpin (my younger readers can look that item up in Wikipedia) ended up in the victim’s ear. The pickpocket seems to have acquired some crucial information and also ends up murdered. 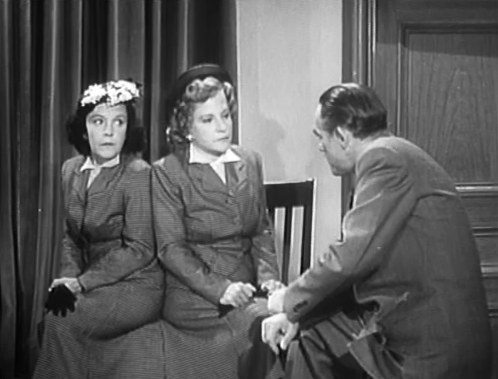 The plot rolls along and we end up with a dramatic courtroom scene in which Hildegarde listens carefully and figures out whodunnit from something that is said in the courtroom itself. Then as noted, Oscar invites her to be married and the story ends. You might be surprised by the identity of the murder, but to me that person was the only one of sufficient intelligence and determination to even be considered as a potential killer. And, as I said, the plot itself is not all that important. It’s more like a series of set pieces that sketchily indicate a killer rather than lead directly to him. A crucial element in this is that Hildegarde and Oscar do not work out logically who the killer is and then find evidence to prove it; instead, they lay a plot so that the murderer self-incriminates by knowing a detail that only the killer would know, but the murder self-incriminates by accident, almost. Had that not happened, the case might remain unsolved. 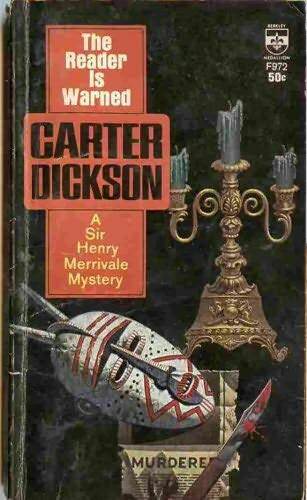 This is not a puzzle mystery a la Ellery Queen, this is more like the early efforts of Erle Stanley Gardner, where Perry Mason bulls around and muddles up the clues until someone makes a mistake and reveals his guilt in the courtroom scene. I suspect that the original audience for this material asked nothing more than to be pleasantly lulled for a bit more than an hour with the antics of the leads and the machinations of the suspects, without paying much attention as to whether the mystery made sense or not. In this case, I’m the same. Give me some gentle humour, a charming series character or two, a wonderful supporting cast and some nice things to look at, and I’m prepared to not work too hard to figure out whodunit. Although I usually offer my readers the service of paying close attention as to whether the mystery is capable of one and only one solution, in this case I haven’t bothered — it’s not the point. In the phrase “a Hildegarde Withers mystery”, the accent is definitely on the Hildegarde. Copies of the film seem readily available. If you’re a spendthrift, you can get one from Amazon for $24.99 as of the date of writing; it’s also readily available in various compendia of old mysteries for as little as $3.99 for a pack of four films. 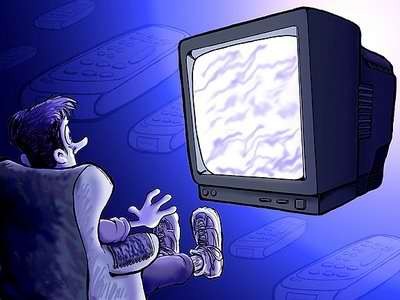 As I noted above, Turner Classic Movies showed it recently and re-runs it perhaps once a year. I am not aware of any uniform edition of the handful of Hildegarde Withers movies (but I became aware recently that Rue Morgue is reissuing the books in trade paperback, which means I might finally get to read The Puzzle of the Blue Bandillera, so hurray for Rue Morgue).